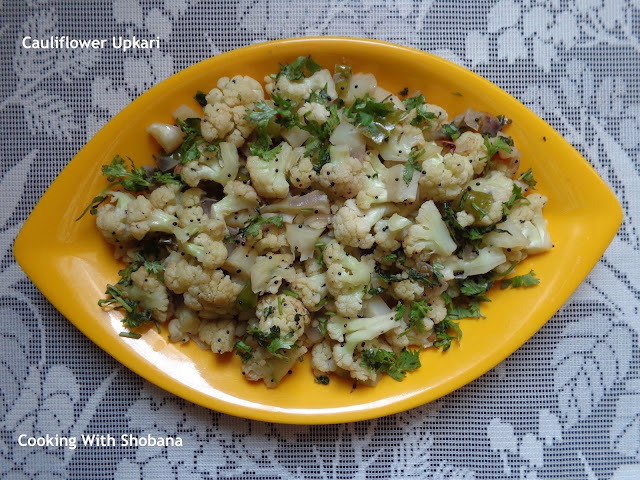 Amongst vegetables, cauliflower is one that has always been popular at my home. I make dishes using cauliflower quite often as they have numerous health benefits. One of the dishes in this blog that many have tried out and appreciated is Masala Cauliflower. 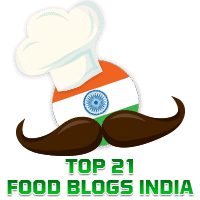 You will also find recipes here for other Konkani dishes namely Cauliflower Ambat and Cauliflower Talasani.
" upkari" for any type of stir fries. This is served as a side dish with the main meal of rice and dal. Wash the cauliflower and break it into florets. Make sure the cauliflower does not get overcooked. It should be done yet remain firm.